You may not have realized how important your ice maker is to your household until it stopped working. Here at Aviv Service Today, our staff understands the importance and value of a functioning ice maker, and we treat your service request as a priority. From under-the-counter machines to freezer mounted units, our technicians are fully trained to repair the full range of icemaker types. Plus, to ensure a fast repair process, we stock our service vehicles with the most commonly failed parts. 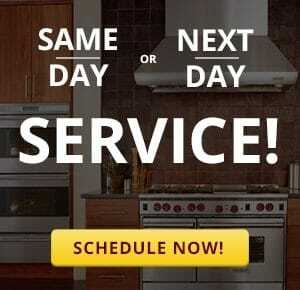 Give us a call for fast, reliable service today. Ice maker on the fritz? We’ve got you covered. Our technicians are trained to handle any icemaker failure including No Ice Production, Slow Ice Production, Ice Tray Not Dumping, Ice Tray Not Filling, and Ice Maker Water Line Frozen. After completing a full diagnostic, our technician will give you a written estimate that will include a full price breakdown and detailed description of the failure. We provide ice maker repair in Charleston on most major brands including Whirlpool, Samsung, Maytag, Kenmore, LG Electronics, GE, and more. If you own a high-end brand ice maker, rest assured our service technicians have received specialized training from leading appliance manufacturers such as Dacor, Thermador, Bosch, Fisher and Paykel, Viking, Asko, U-Line, and Sub Zero. Check out a full list of the brands we service! The value of service you can trust is priceless, which is why our mission is to provide high quality, “old-fashioned” customer service. It’s our goal to win your trust and keep your trust for the long term. That’s why we stand by all of our work. We provide a full 90 day labor warranty with every completed repair. 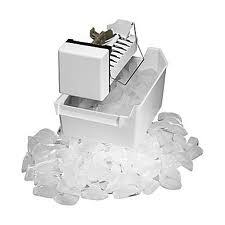 We also guarantee all ice maker parts we supply and install for a full 5 years. For more information about Aviv Service Today’s warranty, click here.